Masthead Hose & Supply was founded in 1990 and currently operates from 10 Branch locations with a corporate office in Orange Park, Florida. Each branch has a full range of products as well as fully trained staff eager to offer support to our customers. Hose assemblies can be made while you wait in all 10 locations. Offering Hose assembly and accessory kits including proto-type hose installation services. Sale of bulk products and hose assemblies to other distributors and users worldwide. Specialized products and bi-lingual staff trained to serve the needs of our International customers. Some of our Applications at Work !! 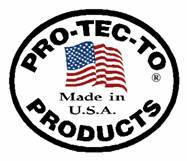 © 2010 Pro-tec-toproducts. All Rights Reserved.